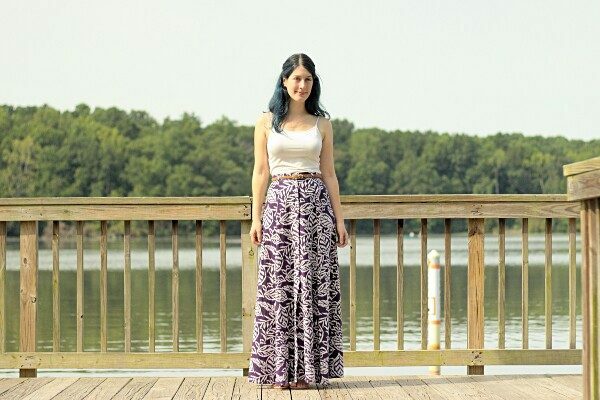 First of all, I have to say that I was very very happy to learn that Deer&Doe would be releasing a maxi skirt pattern: I have been wanting to sew one for a while but until then I had been desperate to find a pattern that I liked. I looked into all of my Burda with no success (I’ll talk more about the 05/2012 skirt later), and the Big4 options seem very dated to me (gathered tiered skirts? yeah… no thanks). On the indie side, I don’t like the Rene skirt from Named (too straight). I know there is also the Gabriola skirt by Sewaholic but as much as I like the idea of the yoke on the technical drawing, most of the versions of the skirt I’ve seen are not very flattering around the stomach. However, with the technical drawing of the Fumeterre skirt, it was love at first sight! It was exactly the pattern I had been looking for: a waistband and no gathers or pleats but instead panels that slowly get wider to give just the right amount of flare. I traced a size 36.5 at the waist and a size 38 from the hips down. Because the skirt flares out I didn’t have to trace a 40 or 42 at the hips like I would have done with more fitted shapes. I really like the subtle flare of this pattern, I think it creates a beautiful silhouette. Given my recent obsession with shirtdresses it’s no surprise that I chose to make the buttoned version. This variation also has belt loops, which are a really nice touch. 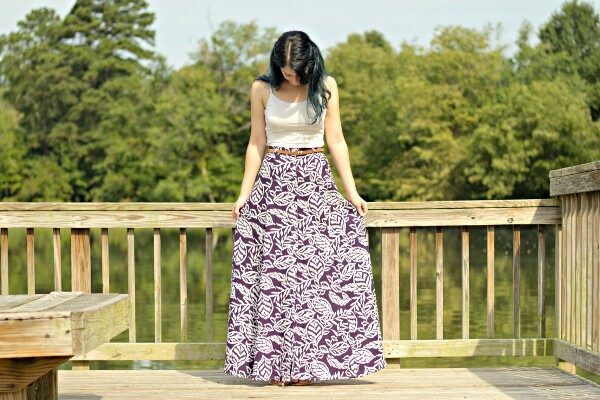 I think having a belt helps with the proportions and makes me less self-conscious about wearing something as unusual for me as a maxi-length skirt. I have seen some posts on a French forum that compared this skirt to the #106 skirt from Burda 05/2012, and the good news is that I have also made that skirt! It was way back in 2013 when my blog was still in French only but you can still look at the pictures. Anyway that means I get to give you my opinion on how these two patterns compare. The silhouette and seam lines are similar, the main difference being that Fumeterre has a waistband, unlike the Burda pattern. This is one of the main reasons for which I don’t wear that skirt this much anymore: because it doesn’t have a more fitted waistband it tends to rides up or down depending of my weight, and if I wear it with a belt, the belt often ends up riding up above the skirt as well. This is also a problem if I try to tuck my shirt in it as the shirt gets untucked pretty easily. With Fumeterre I don’t have this problem: the waistband is interfaced but most importantly is elasticated in the back which means the skirt stays in place and comfortable regardless of weight fluctuations or more or less copious meals. Fumeterre also hugs the hips more than the Burda skirt which flares out more and higher: I made the knee-length version, and if I were to trace the lines down to a maxi length there would be way more fabric at the hem than for Fumeterre (which is not necessarily a bad thing, just a matter of taste!). This elastic at the back of the waistband is for me the main selling point of the pattern: it doesn’t add as much bulk to the waist as a classic elasticated waist would, but it helps with keeping the skirt up and comfortable. And given the amount of fabric (even with less flare there is still a lot of fabric in a maxi skirt) keeping the skirt up is important if the fabric is on the heavy side! Eléonore says to use lightweight fabric with a good drape, so I wanted to find a nice rayon, but then I found this fabric at Jo Ann. 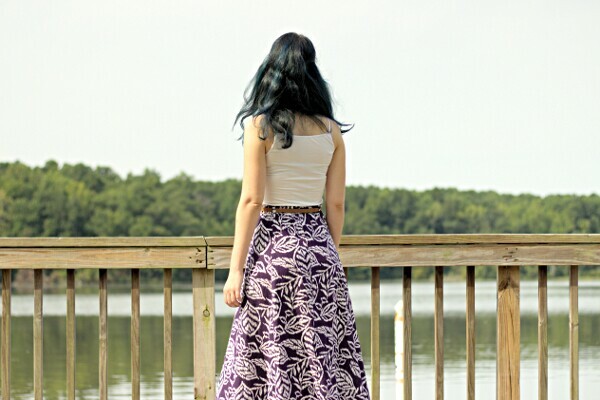 It’s a linen/rayon ikat and it has a beautiful drape and is pretty heavy for a summer fabric, so I was afraid that the skirt would stretch or ride down but none of this happened. 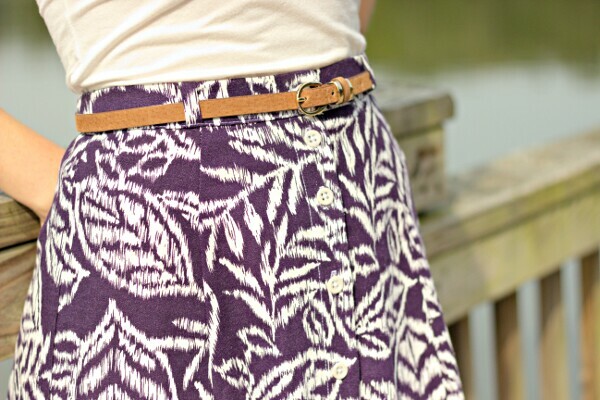 This is pretty encouraging for making this pattern in fall- or winter-appropriate fabric! The skirt is buttoned down to knee-level, which is enough not to flash anything one wouldn’t want to flash, but still leaves room to walk freely. Still, see you tomorrow to talk about Cardamome! It looks great! 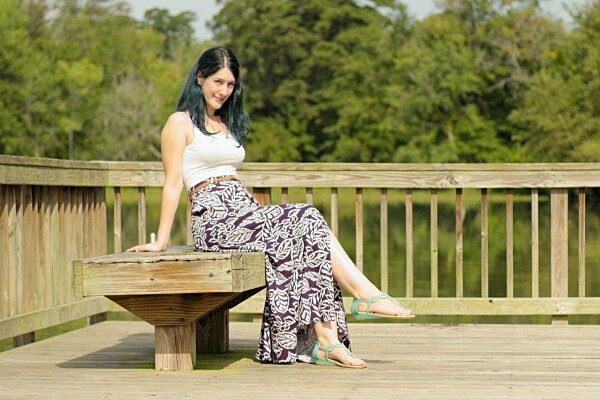 Not being one to wear maxi skirts, I’d held off on buying one. Like you, I wasn’t completely won over by the Gabriola skirt. But when I saw this! I just had to have it and purchased it with the Cardamome pattern straight away. I think I will probably try the buttoned version as well. Oh and just wanted to say I enjoyed getting to know your blog after discovering it via the new Deer&Doe Instagram hashtags. Definitely looking forward to more posts, including your Cardamome! Gorgeous! 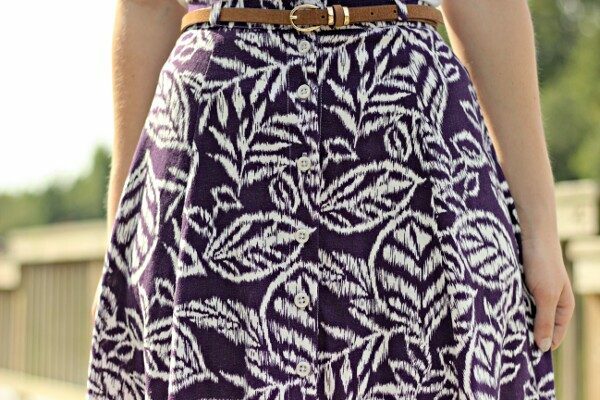 I’ve been looking for a maxi skirt pattern and I think this one might be it. Thanks for a great post! Lovely skirt! I seldom make or wear skirts as I’m terrible at knowing what to pair them with, but I’m tempted to give this pattern a try! It’s gorgeous! 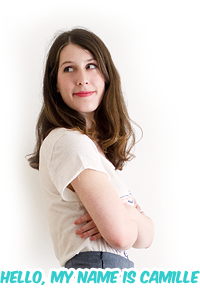 I pair all my skirts with basic RTW knit fitted t-shirts… Nothing very original there! I’d like to make a few tops to go with skirts (I’m thinking the Nettie probably) and also experiment with rayon blouses. That’s why I like dresses so much, no thinking required!